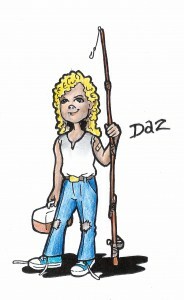 Let me introduce my mate Daz. When we were 12 he was stocky and snub-nosed with a blonde curly fleece on his bonce. He thrived on speed and perseverance and lived on Vimto and Wagon Wheels during the day and fish and chips at night. He gloated in victory and shrugged off defeat carelessly. He could afford to couldn’t he ? His dad ran the village chip shop and drove a brand new Austin Allegro, all brown like Daz’s flared nylon trousers which he said came from London but what really came out of his mum’s catalogue. 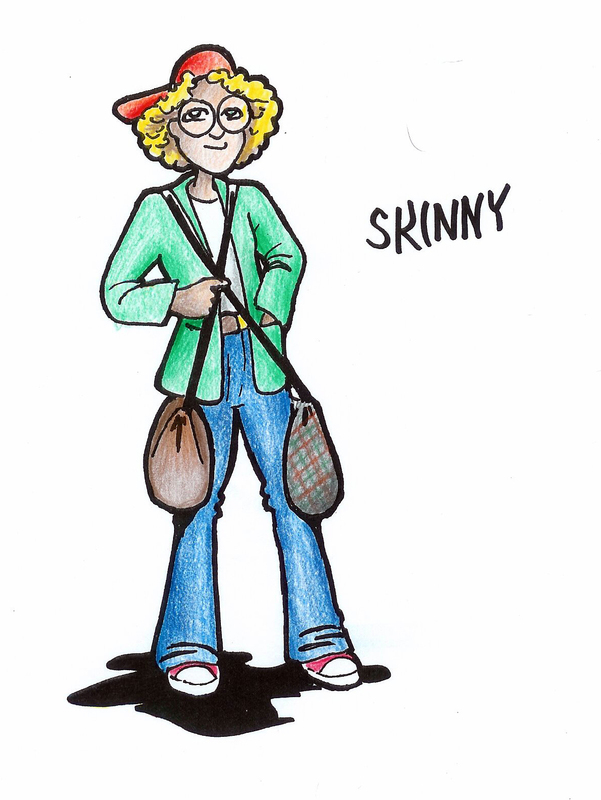 Skinny, Daz’s brother : called the « opposite » twins because they’re totally unidenticle. 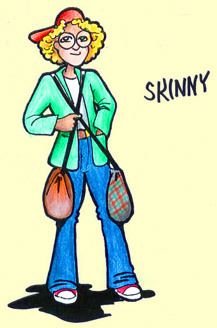 Skinny goes to school with an old leather satchel slung diagonally across his blazer and a tarten dufflebag slung the other way. It bumps against his legs and trips him up. His cap’s skew-wiff or back the front. 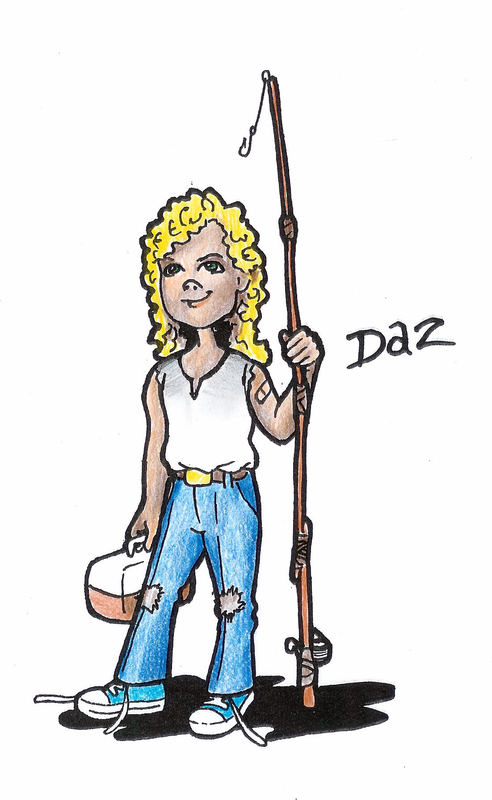 Daz calls him the Clot. Round specs and thick hedgy curls. 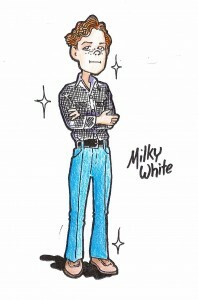 Teased but never bullied, everyone likes him because his ineptitude is comic. 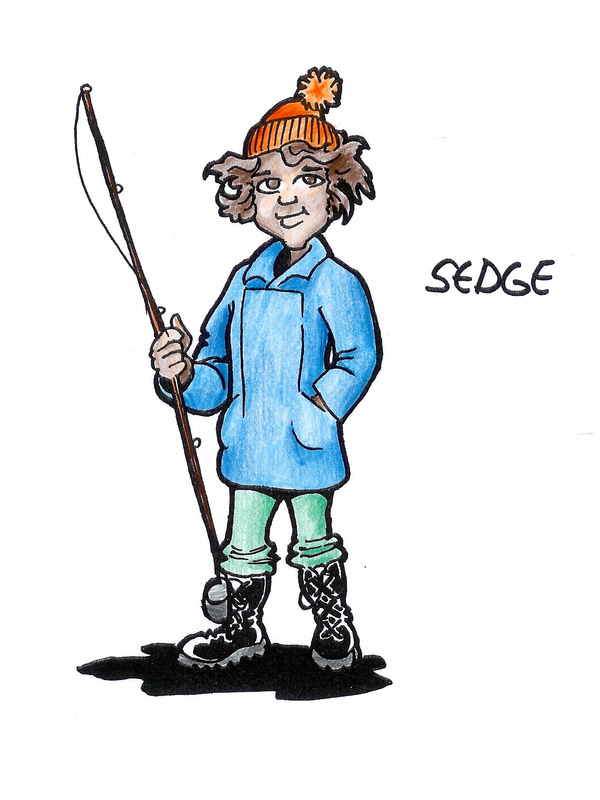 He’s the fisherman of the bunch, for all his cranky gear. 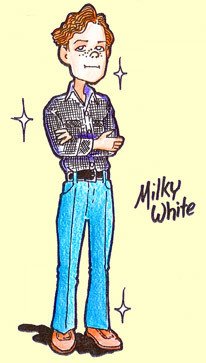 Milky White. 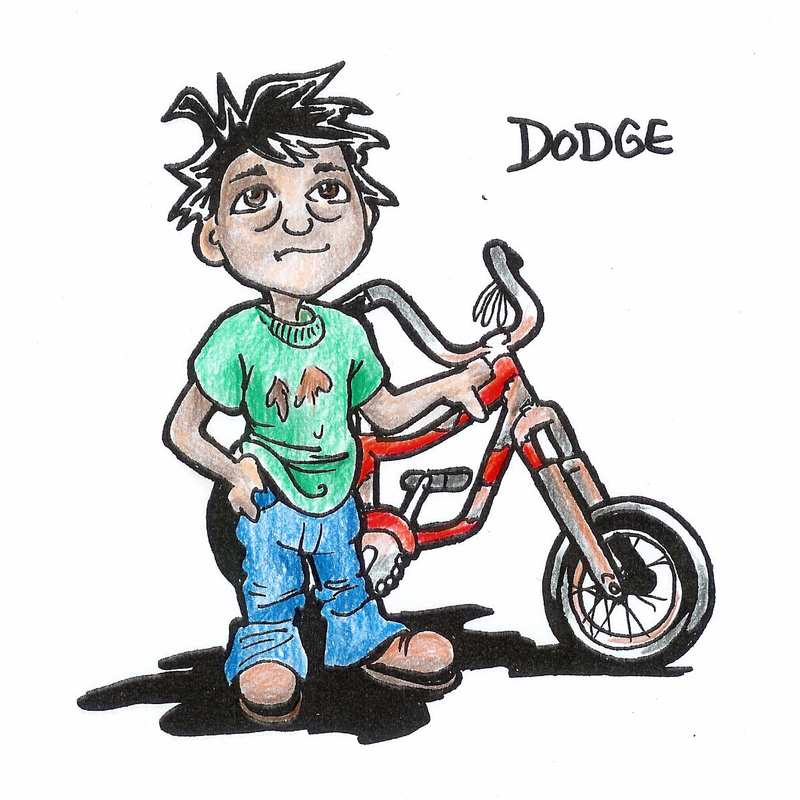 The new boy down the road, turns up with his strange, clean family in a huge removal van that looks full of toys. Jeans like trousers pressed to a kife edge, checked shirt glimmering, Hush Puppies just out of the tissue paper, walks straight, hair perfectly combed into waves and corrugations. Freckles and a snub nose but a mouth hard and sharp, a cold and superior boy who’s set to become Daz and gangs instant enemy. He has it all and knows it all. 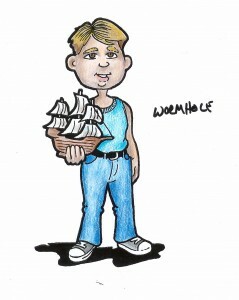 Wormhole, Milky’s mate, son of a Methodist family, ginger headed, goofy, face shaped like a rugby ball. 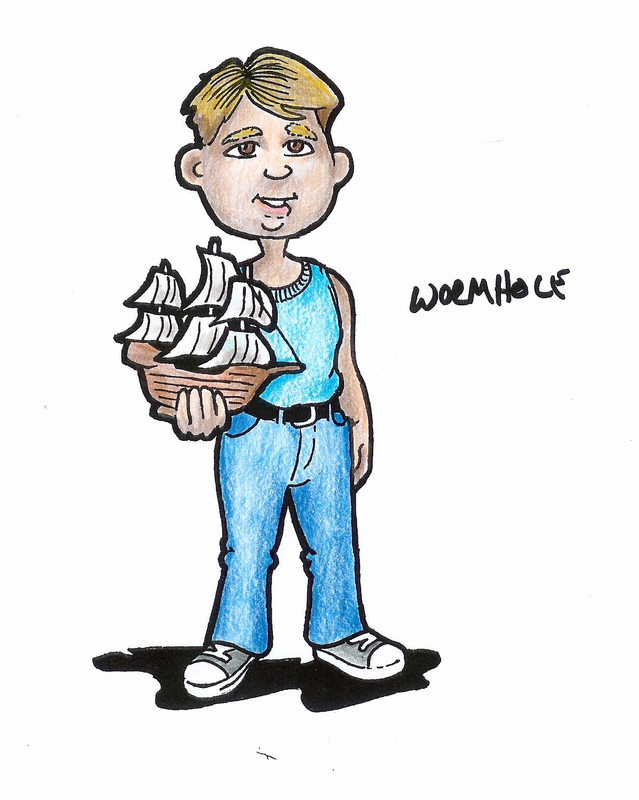 Loves origami and making airfix galleons. One of those kids with mysterious medical troubles which are probably all rumours. “Don’t hit me, I’ve got a metal plate in my head and I’ll die,” he once said to Daz. When he wasn’t at school it was: “one of his stomach aches again,” or “his appointment with the specialist.” He did have sinus trouble and it made him speak like he’d swallowed his Juicy Fruit. Dodge : poor and scruffy, always sniffing the back of his hands, bum hanging out his hand-me-downs, soles of his plimpsoles flapping like pike jaws, dish-cloth t-shirt with baked bean stains, dirty rings round his eyes, black hair in cowlicks his mum cuts with a pudding basin. Makes bikes out of bits he finds on the dump.